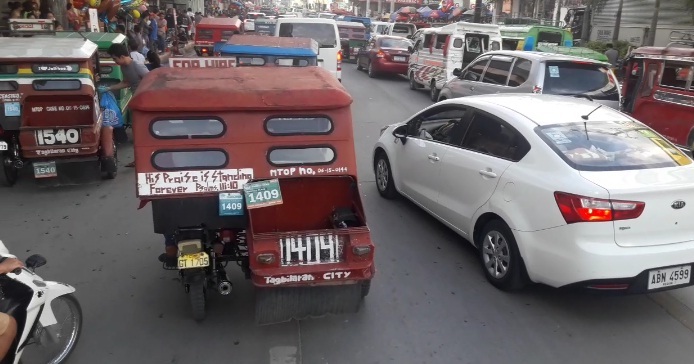 The chief of the Department of Public Works and Highways (DPWH) 1st District in Bohol found the experimental implementation of a one-way traffic scheme in Tagbilaran City satisfactory but highlighted the need for its scheduled enforcement. According to Engr. Francis Flores, the new loop system would be more convenient for the riding pubic if it is implemented only during “peak hours” of road congestion. He pointed out that the scheme should be suspended when traffic congestion eases citing Dumaguete City’s system which only enforces one-way traffic flow during rush hours. Flores said that several changes to Tagbilaran City’s one-way loop system are expected to be implemented as the City Traffic Management Office (CTMO) continued to assess the new traffic scheme. According to Flores, the loop system is ideal in easing congestion along roads particularly in small cities such as Tabilaran City. The inclusion of a segment of a national highway in the loop system was also seen by the DPWH official as an effective measure to address heavy traffic. However, Flores pointed out the need for solutions to the longstanding problem on illegal parking in various streets in Tagbilaran City. Vehicles illegally parked along roads have been pinpointed as among chief causes of road congestion in the city, he added.